In the present day, the Livonian Coast is considered to consist of the following twelve fishing villages in northern Kurzeme: Melnsils (Mustānum), Kolka (Kūolka), Vaide (Vaid), Saunags (Sǟnag), Pitrags (Pitrõg), Košrags (Kuoštrõg), Mazirbe (Irē), Sīkrags (Sīkrõg), Jaunciems (Ūžkilā), Lielirbe (Īra), Miķeļtornis or Pize (Pizā), and Lūžņa (Lūž). Until Latvia’s independence in 1918, the first nine of these villages belonged to Dundaga manor and the other three to Pope manor. 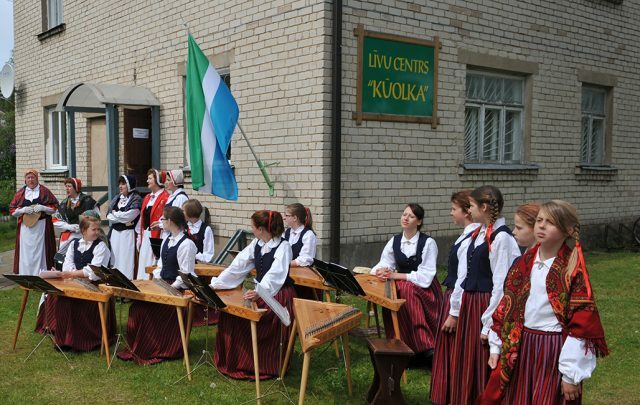 Currently, the eastern villages are officially located in Kolka rural parish (Latvian: pagasts) within Dundaga municipality (Latvian: novads), while the western villages are in Tārgale rural parish within Ventspils municipality. Map of Livonian fishermen villages. 1938. The villages of the Livonian Coast were laid out according to three basic types, which still existed at the end of the 19th century. The first is a compact village type where farmsteads are located close together with their yards and gardens often touching and with fences separating them (for example, Košrags). The second is a type with a compact centre with other farmsteads extending outward at various distances (for example, Mazirbe, Melnsils, Pitrags, and Sīkrags). The third is a village type which extends for several kilometres with its centre formed by just a few buildings and the rest stretching along the shore at different distances from each other (for example, Lūžņa, Miķeļtornis, Saunags, and Vaide). In some villages – Lielirbe, Lūžņa, Miķeļtornis, and Saunags – there are several compact groups of buildings built in areas with easy access to the sea. In those cases, boat landings and stakes for drying nets were set up in two or three spots along the beach. 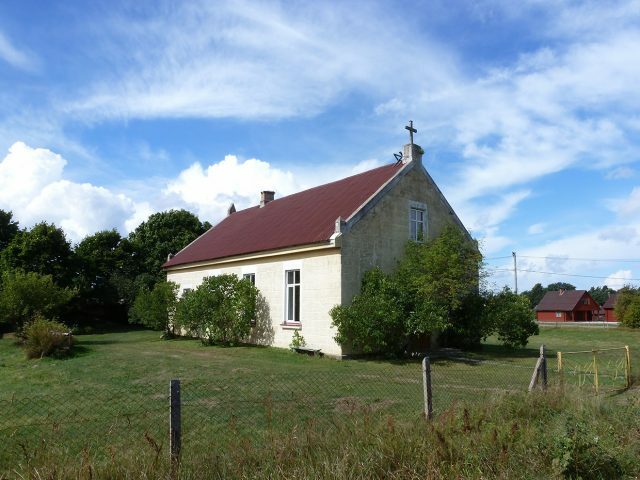 The villages also had buildings belonging to the manor, rural municipality, church congregation, or state: churches (in Ģipka, Kolka, Lielirbe, Mazirbe, Miķeļtornis, Pitrags, and until the mid-18th century also in Sīkrags), taverns (in Ģipka, Kolka, Mazirbe, and Miķeļtornis), border guard posts (Ģipka, Kolka, Lielirbe, Lūžņa, Mazirbe, Melnsils, and Saunags). There were also forest ranger posts, schools, storage houses, and other buildings, for example, the Mazirbe parish pastor’s residence, the lighthouses in Kolka and Miķeļtornis. The Livonian villages also had a few windmills and watermills. Driving from Rīga, there are three routes one can take to get to the Livonian Coast. To start with the western Livonian region, first take the Rīga-Ventspils highway to Ventspils. Before seeing what life is like in the Livonian villages today take a tour through life in the past at the Seaside Open-Air Museum. 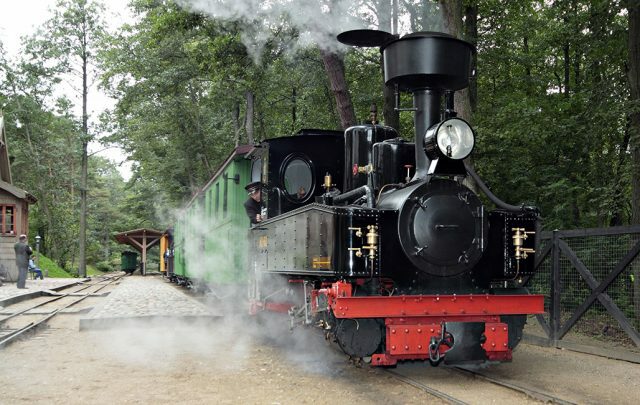 At the museum ride on the old narrow-gauge train (piški bōņ) and explore a replica of the Mazirbe railway station, a Livonian fisherman’s farmstead, and the century-old Lielirbe Baptist Church, which was moved to the museum in 2011. The narrow-gauge railway to the Livonian Coast was built by the German army during World War I and for many decades even up to 1962, it was the most important means of transportation for the Livonians. They could take this train to get to villages farther away and also to cities like Ventspils, Talsi, and Rīga. Narrow-gauge train in Ventspils open-air museum. Even though the 13th century Livonian Order castle, which is the current location of the Ventspils Museum, has no direct connection with the Livonians, it can also be included in the list of sights to see. 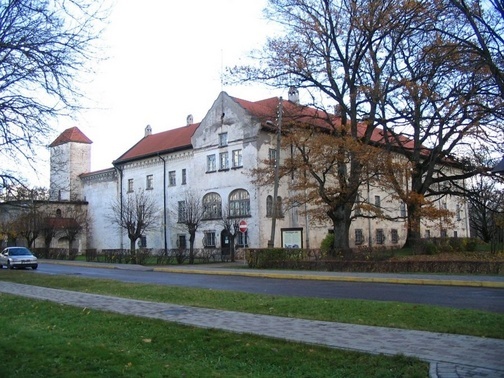 Between 1832 and 1959 there was a prison in the castle and this prison is the place where Uļī Kīnkamäg (Uldriķis Kāpbergs), known as the “Livonian King” during his life, died in 1932. Take the Ventspils-Kolka highway, which has now been paved along its whole length for several years, from Ventspils to the Livonian villages. The third route will take you right to the very heart of the Livonian Coast – the village of Mazirbe. This is where the first Livonian community organization, the Livonian Union, was founded in 1923, where “Līvli”, the only newspaper in the world to be published in Livonian came out in the 1930s, and also where the Livonian Community House is located. To get to Mazirbe take the Rīga-Ventspils highway – the same as for the first route – but only as far as Talsi. Then drive from Talsi up to Dundaga and from there on to Mazirbe. Along the way you can visit Dundaga Castle which was built in the 13th century by the Rīga Cathedral Chapter. In later centuries it served as a defensive building and a residence for manor lords. The final private owners of the castle were the Osten-Saken family, which owned it from 1711 until the 1920 agrarian reform in Latvia. Most of the Livonian villages once were part of the Dundaga manor. Dundaga Castle is the largest 13th century castle in northern Kurzeme with an enclosed courtyard, a gate tower, and 2-3 m thick walls. There is a large park next to the castle more than 20 ha in size. The other attraction near the Dundaga-Mazirbe road (you have to make a right turn) is the Šlītere Lighthouse. Latvia’s second oldest lighthouse (built in 1849-1850) is higher above sea level (82 m) and further inland (5 km) than any other lighthouse in Latvia. It is located on the edge of the steep slope of the Blue Hills (Latvian: Zilie kalni) and on a clear day from its fifth floor you can see the Sõrve Lighthouse tower on Saaremaa. Since 2002 the lighthouse has been used as a viewing tower open to visitors. 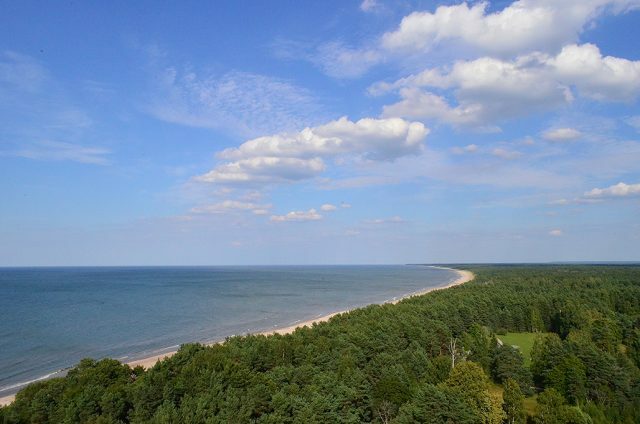 The most scenic natural attraction in Kolka is Cape Kolka itself – Latvia’s most distinctive cape located at the meeting point of the Gulf of Rīga and the Irbe Strait. The cape continues as an underwater shoal for 6 km to the Kolka Lighthouse (though at the time of its construction, this distance was only 5 km). 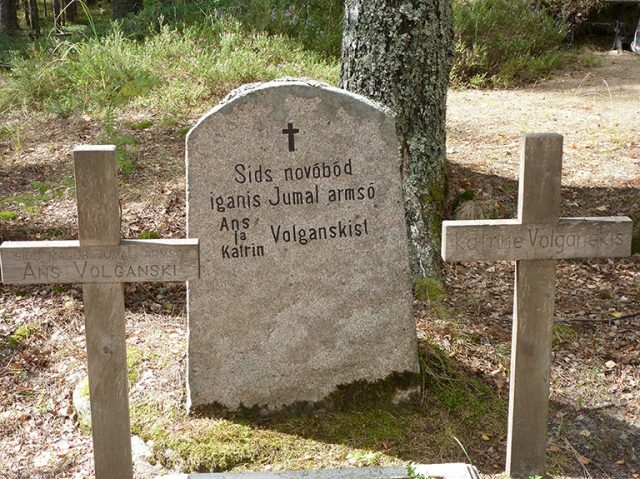 According to legend, Cape Kolka was created when the devil was piling up dirt while building a road to Saaremaa. 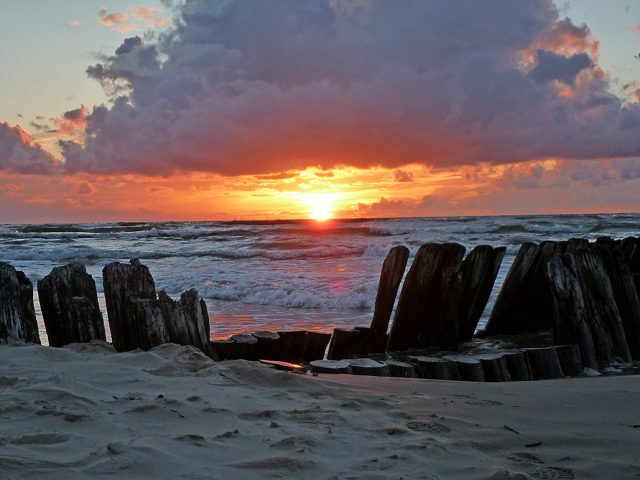 Since the sun both rises and sets on the sea at Cape Kolka, it is possible to see many beautiful sunrise and sunset views here. Cape Kolka is an important concentration and rest site for transiting migratory birds. The ruins of the old 16th century Kolka Lighthouse are visible on the shore, though with every year they decrease in size and continue slowly slipping under the water. In the past, the old lighthouse was not as close to the water. The new Kolka Lighthouse was built on an artificial island out at sea. The light was turned on in a temporary wooden lighthouse in 1875, but on July 1, 1884, the current lighthouse tower went into service. Though the lighthouse is now operating in automatic mode, the lighthouse keeper’s house and several household buildings are still located on the island. 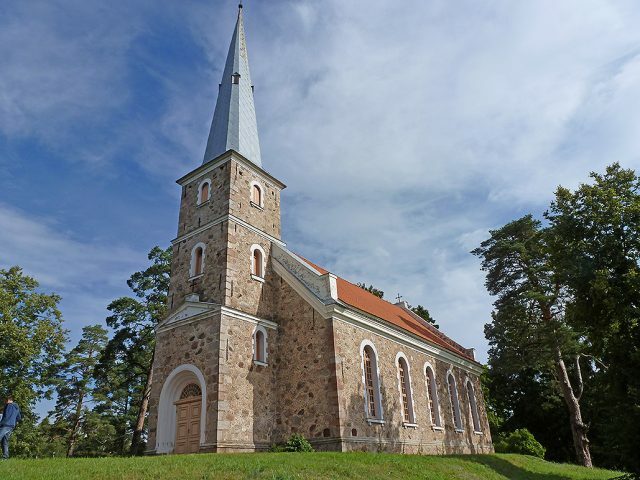 There are three churches in Kolka: a Lutheran church built in 1886, an Orthodox church built in 1890, and a Catholic church transported from the territory of the Grīņi Nature Reserve to Kolka in 1997 (though originally built in 1935). The Livonians were mostly Lutheran though, much as in Estonia, a portion converted to the Orthodox faith in the 19th century. The Baptist faith also began to spread among the Livonians at the end of the 19th century. The Catholics, on the other hand, are newcomers from other parts of Latvia, especially Latgale. The Pitrags Baptist Church was built in 1902 and renovated several times since then. The congregation itself was established in 1890. Košrags is considered one of the newest Livonian villages, as it began to be built only in the 17th century; however, it is precisely in this village where historical construction is the best preserved. Košrags is recognized as a national urban monument and at one point was a candidate for inclusion in the list of UNESCO World Heritage Sites. Not only are the buildings protected here, but also the historic layout of structures in the village, the road network, the landscape, its characteristic terrain, etc. The trees along the paths leading from the Tilmači farmstead in the village centre to the beach were planted in 1912. A map has been placed in the town centre with information for tourists showing the names of farmsteads and the location of paths to the sea. 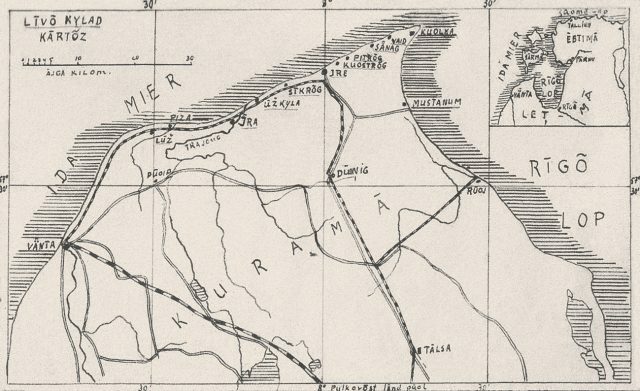 The neighbouring village of Mazirbe is first mentioned in historical records in 1387. Cape Sõrve, the southern tip of Saaremaa, lies 27 km directly across the sea from Mazirbe, which forms the narrowest point in the Irbe Strait. Due to its location, Mazirbe became the major Livonian centre in the 1920s and 1930s. For this reason, it also received significant financial assistance from Estonia and Finland for the construction of the Livonian Community House (architect Erkki Huttunen), which was opened on August 6, 1939. The Community House has been given the status of an architectural monument of national importance. Its present owner is the Livonian Union. Mazirbe is the location of interesting sights such as the plague stones (a cultural monument of national importance) near the Mazirbe parish pastor’s residence, which are associated with stories about mass deaths in 1710 during the plague epidemic; the living quarters and household buildings of the Mazirbe parish pastor’s residence (dating to the 18th and first half of the 19th centuries); the Lutheran church (a cultural monument of national importance) built in 1868 and the old cemetery next to it; the Mazirbe boarding school built in 1939 for children with intellectual disabilities; the building of the former nautical school (built in 1893, later rebuilt); and the boat cemetery a short distance from the sea, though little of it now remains. 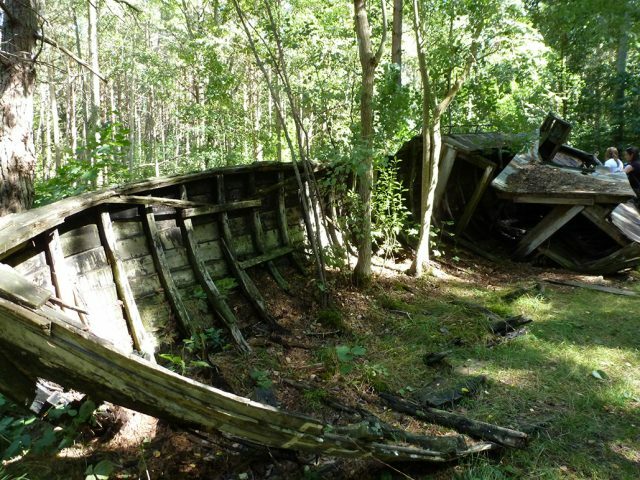 The boat cemetery came into existence in the 1960s when the Soviet Union began to restrict coastal fishing. The fishing boats which could no longer be used were placed in the seaside dunes. Driving into Mazirbe, on the right side of the road is Ķesteri, the home of cultural figure and community activist Kōrli Stalte (Kārlis Stalte). The farmstead’s current form took shape in the late 19th and early 20th centuries. 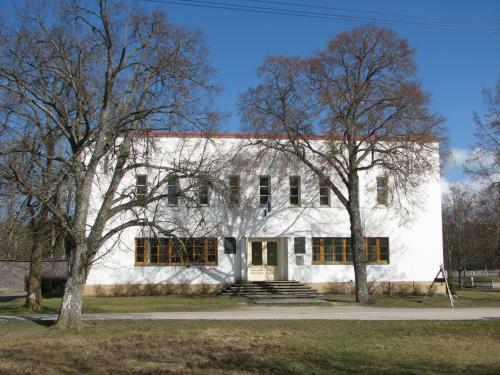 This is where the New Testament was translated into Livonian (published in 1937 and 1942) and where the “Līvli” editorial desk was located between 1933 and 1939. Sīkrags is also a national urban monument and one of the oldest Livonian villages, already mentioned in records in 1387. The historic layout of structures in the village has been preserved. For example, the Kilasidami house was built in the 1890s and is the oldest dwelling still standing in Sīkrags. Livonian teacher, cultural figure, and language specialist Pētõr Damberg (Pēteris Dambergs) was born in Ķeļķi house. Lielirbe is an ancient Livonian fishing village (first mentioned in the 14th century), which is located at the boundary between the western and eastern Livonian regions. The most impressive natural attraction is the point where the Irbe River flows into the sea. Even until the end of the 19th century, the village was an active centre for the sale and transport of timber as well as the construction of sailing ships. Currently, Lielirbe, which had approximately 300 inhabitants in 1939 and more than 70 homes, has practically disappeared. Only a few homes remain and even old house sites are no longer visible. The Soviet Union signed this village’s death sentence in 1951 when it forbade coastal fishing. A historical marker has been placed at the original site of the Lielirbe Baptist Church, which was moved to Ventspils in 2011. Irbe river near the sea. Miķeļtornis is a long village with more compact construction in its centre. This is the location of the Miķeļtornis Lutheran Church (an architectural monument) built in 1893. The village centre is also the location of the former tavern (built in 1857), which is the only Livonian village tavern to have survived up to the present. The Miķeļtornis Lighthouse was built in 1884, heavily damaged during World War I, and completely demolished in 1932. In 1934, a new lighthouse tower was built on its foundations, which was destroyed by the retreating Soviet army in 1941. The current lighthouse was built in 1957 and is the tallest in Latvia at 55.6 m above sea level. Miķeļtornis is the birthplace of Jāņ Prints, Sr. (Jānis Princis) and his son Jāņ Prints, Jr., the first Livonian poets and language consultants who worked with linguists. A monument honouring Livonian poets (sculptor K. Dane) was placed in the village cemetery in 1978, but a monument for Jāņ Prints, Sr. was unveiled in 2006 at the corner of Prinču Street and Kroņa Street in Ventspils where he lived at the end of his life. Oviši is the Livonian village located furthest west. The Oviši Lighthouse (built in 1814) is the oldest lighthouse still standing in Latvia. The lighthouse has a height of 38.1 m and in good weather its light can be seen 23 km away at sea. The lighthouse is open to visitors. 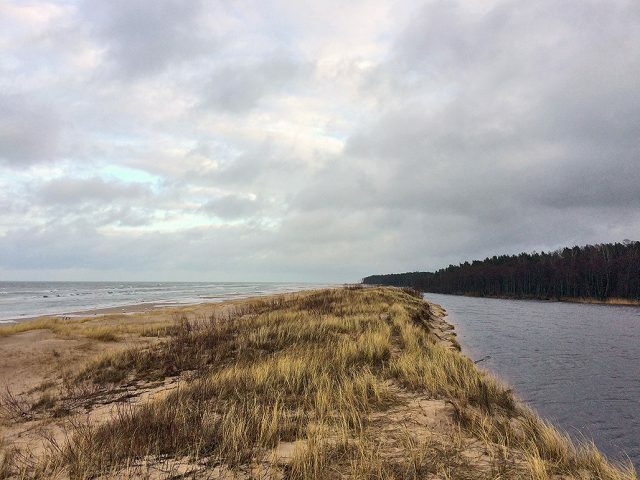 Definitely walk to the sea – the shore and dunes are different than in the eastern Livonian villages. If you are interested in Soviet history, then it is worth making a stop in Irbene, which is located between Lūžņa and Oviši. In the middle of the forest far away from prying eyes a five-story high military town was built surrounding an army radar. 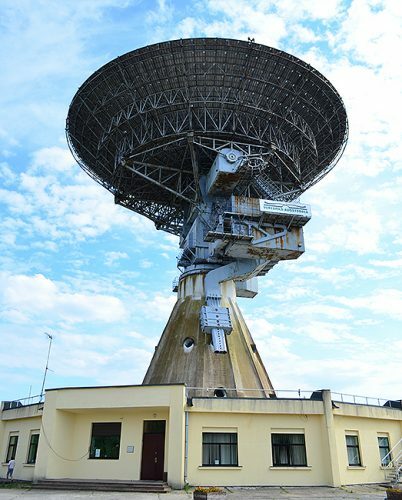 Now this is the location of the Ventspils International Radio Astronomy Centre.